Hector Ó hEochagáin is an Irish television and radio presenter from Navan. 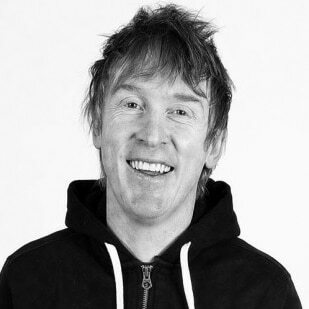 He presented Breakfast with Hector on weekday mornings on RTÉ 2fm from October 2010 until December 2013. Born in Navan, County Meath, hEochagáin attended St. Patrick’s Classical School at the same time as Tommy Tiernan and Dylan Moran. He first came to the attention of Irish viewers with his travelogue programme Amú on TG4, the Irish language television station. After a number of series with TG4, Hector created and hosted two primetime series: Only Fools Buy Horses, which took a satirical look at the world of race-horse ownership; and Hanging with Hector, which featured Ó hEochagáin spending time with Irish celebrities. Hector has won multiple Irish Film and Television Awards (IFTAS) for his shows, and presented a radio show on i102-104FM and RTÉ 2FM with close friend Tommy Tiernan. In January 2013 he presented a new four part series called Hector Goes on RTE 1. Hector’s career is distinguished by his relaxed, informal, candid, and irreverent style. This versatile presenter has introduced people and places into our living rooms and won legions of fans in the process.